The Padma Vibhushan recipient Satish Gujral recently loaned his majestic Trinity sculpture to Bikaner House. 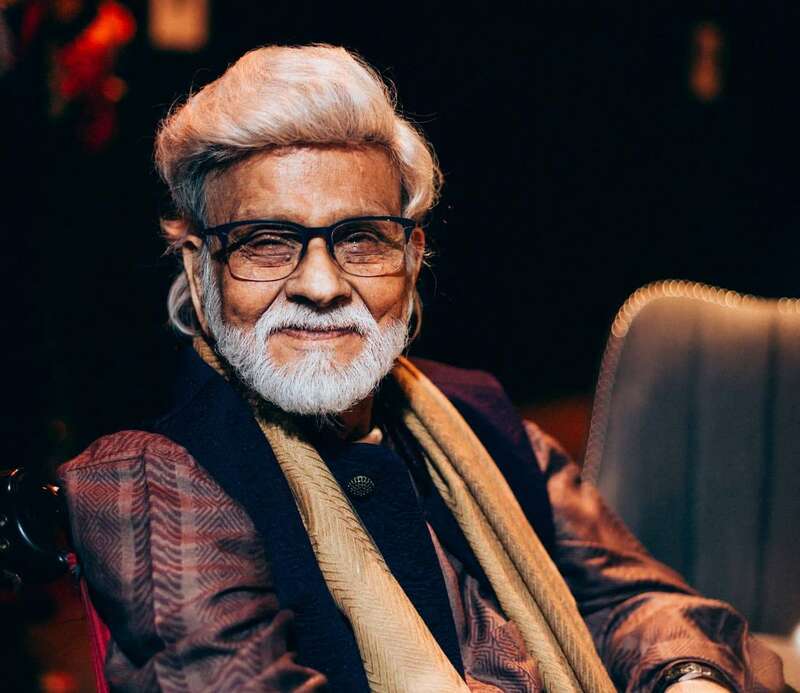 The veteran artist in a candid chat walks down the memory and talks about the challenges he faced since early childhood, what influences Mexico had on his art and the need to support and promote public art in India. What made you loan your sculpture, Trinity, to Bikaner House? There was a time when I followed communist ideology and believed that political art on walls is one of the best ways to express opinions. While I still believe that public art is a great way to connect with people and bring them closer to art, but I don’t like using art as propaganda anymore. This is why I decided to loan this sculpture to them because it embodies the essence of life circle. Since it talks about life, death and rebirth, what better way than a public space to ponder over this ultimate truth about life. You have met with challenges very early in your life. It all began with the fateful accident followed up by you losing hearing. Yet, you never gave up in life. What has been your driving force? I think that the credit for this goes to my father who never gave me in ensuring that I never discontinued learning. When I was bed-ridden at the age of eight and started losing hearing, he didn’t want me to remain illiterate. Hence he bought be books written by Galib, Premchand and many other prominent people. What is important here is the fact that in those days there was not much children literature available, so by the time I was 12, I had read books and knew of all those things that an 18-year-old would know. How were your drawn towards art? Well, it wasn’t a conscious decision. When I lost my hearing then I couldn’t have been admitted to a regular school. So my father got me first admitted to a deaf and dumb school in Delhi, which still exists here. But a teacher there noticed that I wouldn’t learn much there so she requested my father to take me back from there. After this, my father realised that I used to doodle while on the bed, hence he must have thought that art is best for me. But again, it wasn’t an easy choice to make because nobody was interested in enrolling a deaf student. Then through his political connections, he met with the principal of an art school which was headed by the son of Rudyard Kipling. While my father tried to convince the principal to take me in, the principal was clear that the rules won’t be changed just for one student. Nevertheless, he agreed to put me in a class for a year to observe how I perform. I was in and after a year I got the admission. You have also experimented with various mediums. Has this been a conscious effort? The credit for this versatility should go to my schools—Mayo School of Arts and my brief stint in Sir JJ School of Art. Mayo School that time followed the Western teaching and hence I learnt things like carpentry and textile designing there. I hated doing this carpenter work because I thought it was useless, but looking back I see how this learning shaped my architectural hands and helped me in creating sculptures and designing architectural marvels like the Belgian Embassy in New Delhi, the UNESCO building and more recently the Ambedkar Park in Lucknow. How was the experience of studying in Mexico?